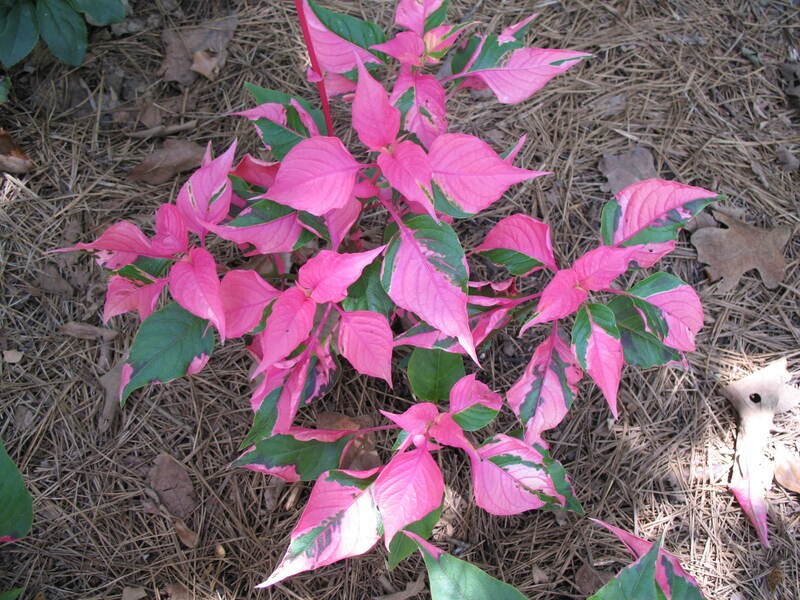 Comments: Pink and green foliage makes this a strong accent plant in the garden during the warm season. Temperature below 20 degrees will result in the death of this species. A relatively new introduction that is becoming quite popular because of the striking variegated foliage. Makes an excellent container plant.